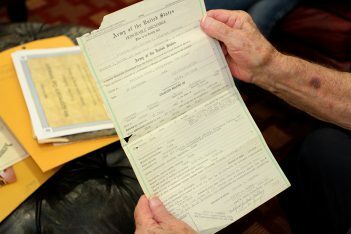 The first time World War II United States Army Air Force veteran Welcome Palmeter flew on an airplane was when he spent three months in Sioux City, Iowa after completing basic training. 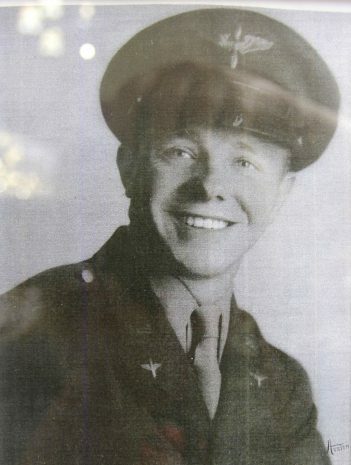 He would then go on to become a bombardier in a B-24 Liberator heavy bomber. Later next month, Palmeter will have the chance to see — and even fly in — another World War II-era aircraft. The 93-year-old is a resident of Northridge Gracious Retirement Living, which is featuring an Ageless Aviation event Sept. 27. 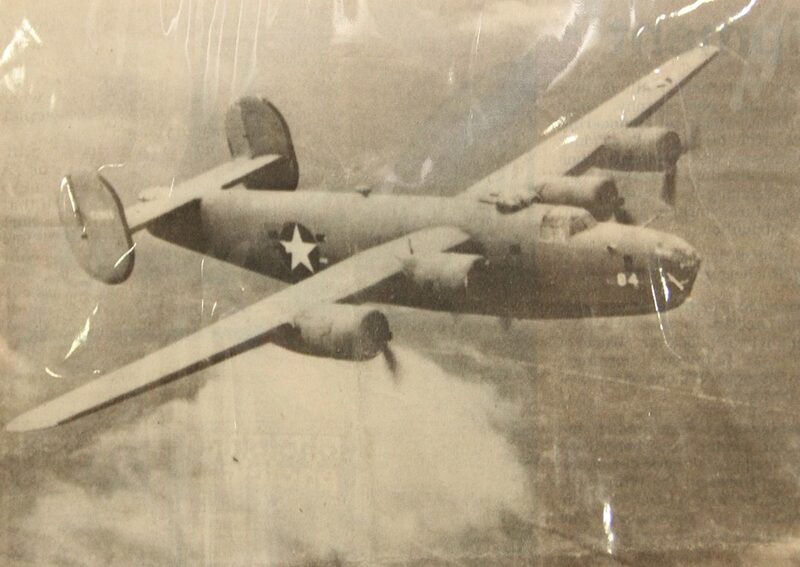 Palmeter flew in a B-24 approximately four years ago, and he may take a plane ride again during Northridge’s event. “I would be (excited to see it again). I might fly up in this one. I will see what they have,” he said. Palmeter served from 1943 to 1945. He was discharged on his birthday. 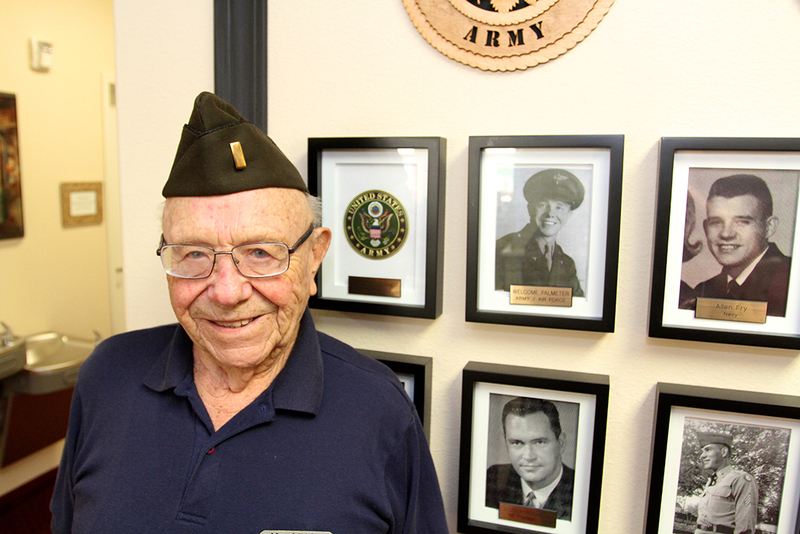 During his time in service, he didn’t serve abroad but his crew did. After Germany surrendered in May 1945, Palmeter continued practicing bombing runs until Japan surrendered in August 1945. During bombardier training, Palmeter and his crew used the Golden Gate Bridge in San Francisco as an aiming point, which involved taking photos through this bomb sights during practice runs. “I would have my bomb sights on it (the bridge) and take a picture for practice,” he said. Palmeter moved to Northridge almost a year ago. He has a daughter who lives in Indianapolis and three sons. A fourth son died in 2001 due to Agent Orange exposure while serving in the Vietnam war. For the Ageless Aviation event, Northridge will bring residents who served in the military to Tom Wood Aviation in Fishers. Residents and their spouses will have the opportunity to ride in a World War II-era PT-17 Stearman biplane. Northridge’s chef will attend to provide a meal. Another resident, veteran Mike Schofield, is a musician whose band will play patriotic songs at the event. For events such as this, owners of old warbirds will bring the planes out to the tarmac for display. After World War II, Palmeter didn’t stay in touch with his nine crew members. He was closer with a bombardier on a different plane, a man named Harry Tilman. Tilman and Palmeter were both stationed in Boise, Idaho, and often vacationed together with their families. Palmeter said he was friends with most of his crew members but he never received their addresses and they lost touch after the war.